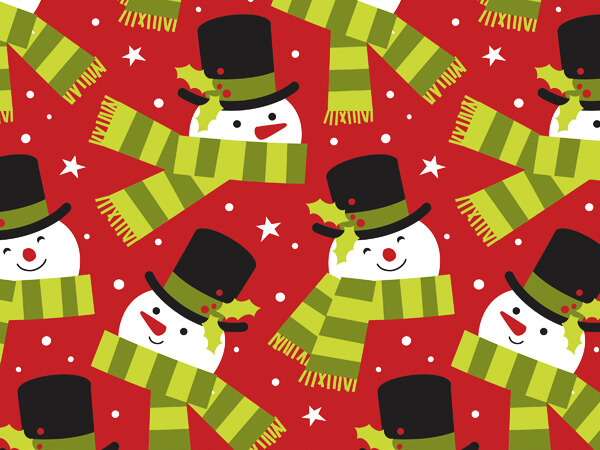 Frosted Snowman 24" x 85' gift wrap has a jolly snowman bundled up against the cold in a green striped scarf with a black top hat. Green Way ® Eco-Friendly Packaging gift wraps are printed on minimium 40% recycled papers or papers sourced from well managed forests. Made in the USA..